Most often when I consider the ripple effect reading Diana Gabaldon’s Outlander had on my life, it was in terms of how it may have impacted my choice of spouse rather than the relationships with my friends. For a number of years it was a personal mission to ensure that every friend, acquaintance and occasionally even strangers read it. The alchemy of this story has become legend between my friends and I. Though coincidentally my husband is a 6’4 former red head but of English, rather than Scots ancestry, other than his stature and once red hair he doesn’t bear much resemblance to the character, which now that I think about it, is probably a good thing. From IMDB The Wedding (S1, Ep6) – Marriage to a Scot seems to be the only legal way out to save Claire from falling into the paws of Black Jack Randall. And Jamie accepts to become her husband and protect her. Claire is overwhelmed by circumstances that are forcing her into becoming an adulteress and a bigamist. The hasty marriage takes place and, in order to be legal, it must be consummated that night. 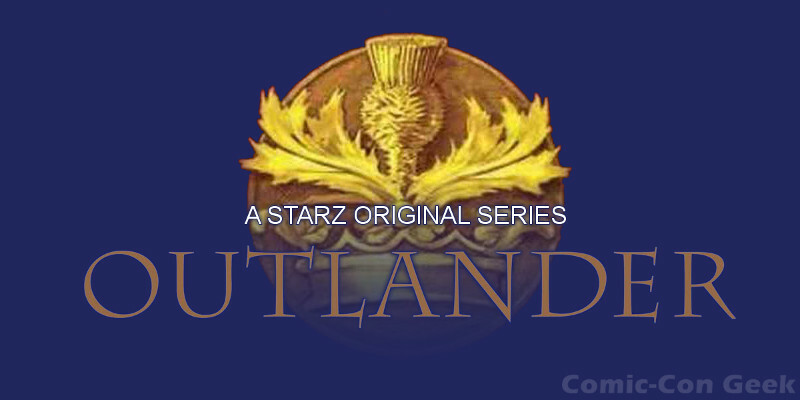 Perhaps recommending and discussing Outlander was the first outlet for my many book related opinions that would later be fulfilled by the creation of my blog. My bestie resisted my efforts for a solid seven years …until Christmas showing up more than two hours late and in a state. When I asked her what the problem was she cried “But what about Frank?!?!?!?! ?” I don’t remember what my response was other than I am sure a snort and something to the effect of “Obviously you haven’t read enough about Jamie yet!” However more than a decade later my opinion has changed somewhat and this thought seemed to echo throughout this most recent episode as Claire braced herself to consummate her marriage to Jamie. To avoid a torturous, literally, interrogation at the hands of Captain Randall, Claire is faced with an untenable choice. As a English subject she is at the mercy of their military, however if she were to become a Scot, Randall would have no legal means to impel her to submit to questioning. Rather than marry her himself Dougal has come up with an ingenious solution that not only secures her safety but keeps her accessible as his nephew, Young Jamie’s wife. After watching the episode and recovering from the glory that is Sam Heughan sans vêtements, (truly, he is glorious) I found myself reflecting on my friend’s words. Told in flashbacks that are incredibly romantic you see the wedding from both Claire and Jamie’s perspectives. Despite wanting to smack Claire for her reticence I also found I could understand her reluctance to simply grab Jamie and deflower him already. Alas my gratification was not to be immediately fulfilled, truly this episode was possibly the most skilfully rendered yet and that it saying something after the visceral horror of Jamie’s flogging in The Garrison Commander, which proved that in this case my imagination did not come close to doing the torture justice. Twenty years ago when I read Outlander for the first time I don’t remember giving the sanctity of Claire’s vows to Frank much thought. However, when I laughingly reminded teachergirl73 of her distress, she was as dismissive as I once was of the small complication of having two husbands. Whether it was the long years of separation during the war or the degrading treatment at the hands of his doppelgänger or quite simply the irresistible pull of Jamie, it is clear that the hold of her other life is beginning to falter. Unfortunately we will only be able to ponder this for the next 6 months following next week’s mid-season finale. In lieu of methadone I would highly recommend keeping the first 8 episodes on your PVR for repeated viewings. Oh poor Frank…always getting the short end of the stick. But the question that I have now, is what kind of husband would Frank have been if Claire had never left? Would they have lived happily ever after? Claire admits to Jamie that what is between them isn’t what it is like for all married couples. Would she have had similar revelations about her and Frank if their lives had been never been disrupted?